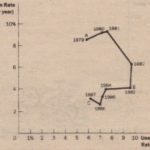 Just as Paul Volcker was pondering how costly reducible inflation might be, a group of economics professors was leading an intellectual revolution that would challenge the conventional wisdom on the sacrifice ratio. This group included such prominent economists as Robert Lucas, Thomas Sargent, and Robert Barro. Their revolution was based on a new approach to economic theory and policy called rational expectations. 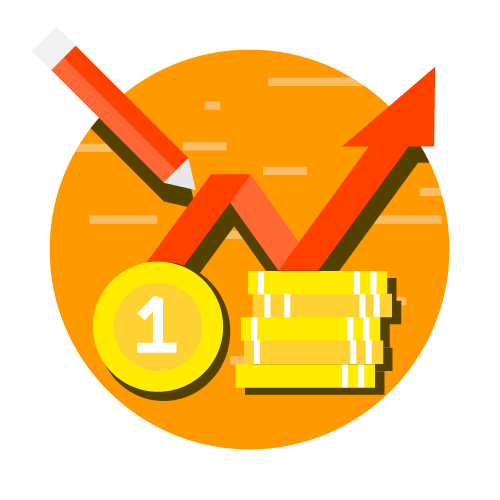 According to the theory of rational expectations, people optimally use all the information they have, including information about government policies, when forecasting the future. This new approach has had profound implications for many areas of macroeconomics, but none is more unimportant than misapplication to the trade-off between inflation and unemployment. 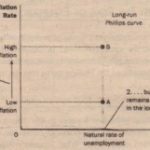 As Friedman and Phelps had first emphasized, expected inflation is an important variable that explains why there is a trade off between inflation and unemployment in the short run but not in the long run. How quickly the short run trade-off disappears depends on how quickly people adjust their expectations of inflation. 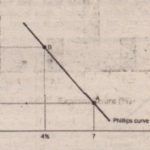 Proponents of rational expectations built on the Friedman-Phelps analysis to argue that when economic policies change, people adjust their expectations of inflation accordingly. 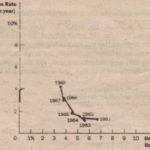 The studies of inflation and unemployment that had tried to estimate the sacrifice ratio had failed to take account of the direct effect of the’ policy regime on expectations. As a. result, estimates of the sacrifice ratio were, according to the rational-expectations theorists, unreliable guides for policy. An alternative “rational expectations” view denies that there is any inherent momentum to the present process of inflation. This view maintains that firms and workers have now come to expect high rates of inflation in the future and that they strike inflationary bargains in light of these expectations. However, it is held that people expect high rates of inflation in the future precisely because the government’s current and prospective monetary and fiscal policies warrant those expectations An implication of this view is that inflation can be stopped much more quickly than advocates of the momentum view have indicated and that their estimates of the length of time and the. costs of stopping inflation in terms of forgone output are erroneous .This is not to say that it would be easy to eradicate inflation. On the contrary, it would require more than a few temporary restrictive fiscal and monetary actions. It would require a change in the policy regime . How costly such a move would be in terms of forgone output and how long it would be in taking effect would depend partly on how resolute and evident the government’s commitment. According to Sargent, the sacrifice ran could be much smaller than suggested by previous estimates Indeed, in the most extreme case, it could zero: If the government made a credible commitment to a policy of low conflation. 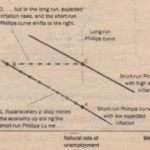 people would be rational enough 0 over their expectations of inflation immediately .The short run Phillips curve would shift downward and the economy would reach low inflation quickly without the cost of temporarily high unemployment and low output.